Great, when will this be available within Divi? It’s been promised for a long time. The Woo Modules was sneak peaked on Sept 15th, so nor it’s over 4 months. There were 105 comments asking on when that was coming out with zero response from ET. The comments sections was closed as I get it was overwhelming. I chatted with ET staff on two occasions and received nothing on a date or even an ETA in what quarter in 2019 or maybe even 2020. 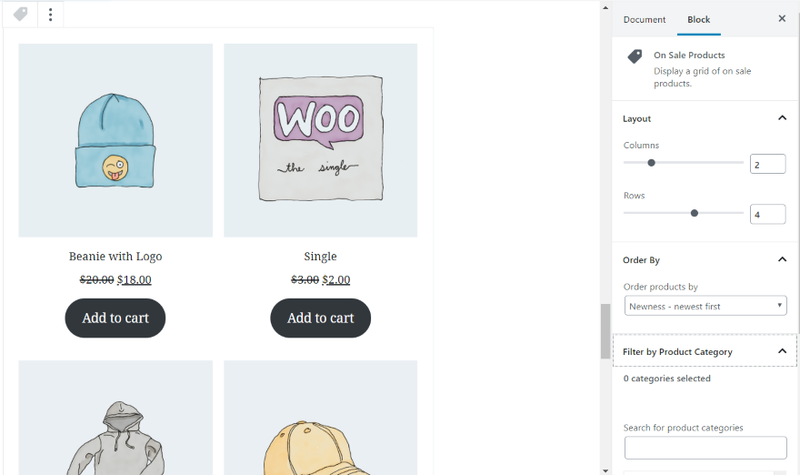 Probably would have been wise for them not to do a sneak peak since people might have joined thinking that there was finally a solution to customizing Woo product pages without going out of the Divi ecosystem. 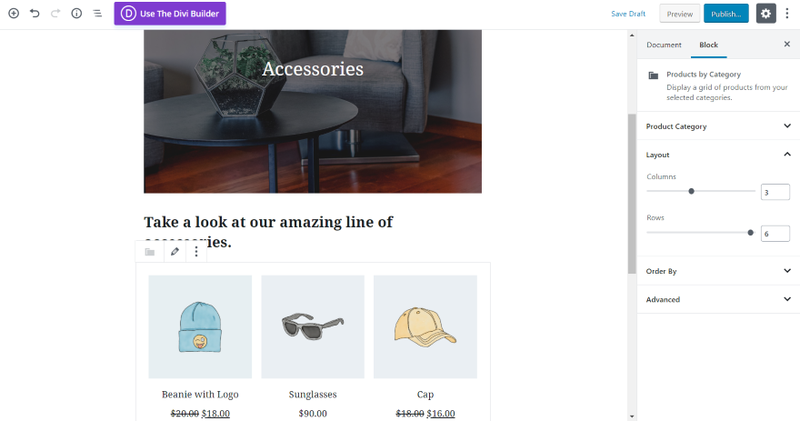 I’m sure I not the only disappointed Divi user at this point regarding this situation. I wonder why they made a new plugin rather than add it to the regular one. Hi Nelson! 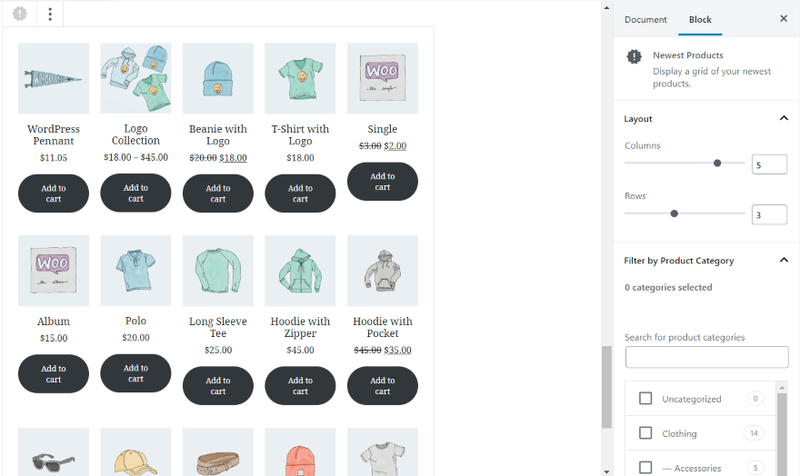 I’m not 100% on this, but I do know from reading a lot about the WooCommerce brand and plugin/extension lineup that as a company, they try to keep the weight of their product to a minimum. 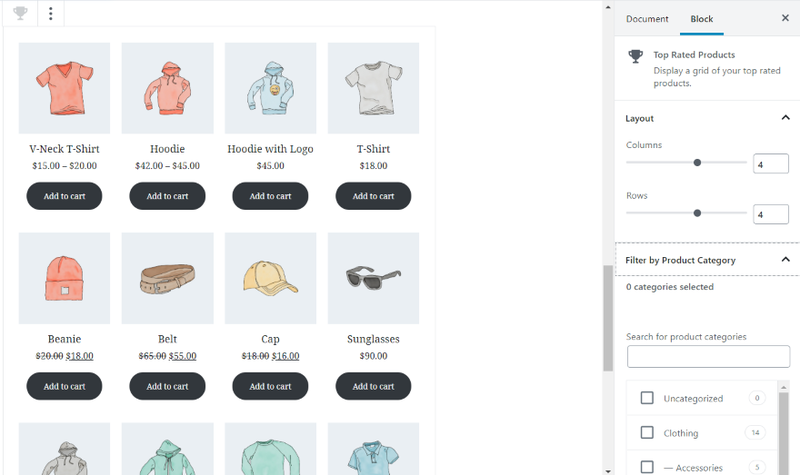 When they have major changes or new feature adds, in many cases they will make those additions a new extension of WooCommerce so that people who do not need/want the additional feature set, don’t have to worry about it adding an extra workload to their site. 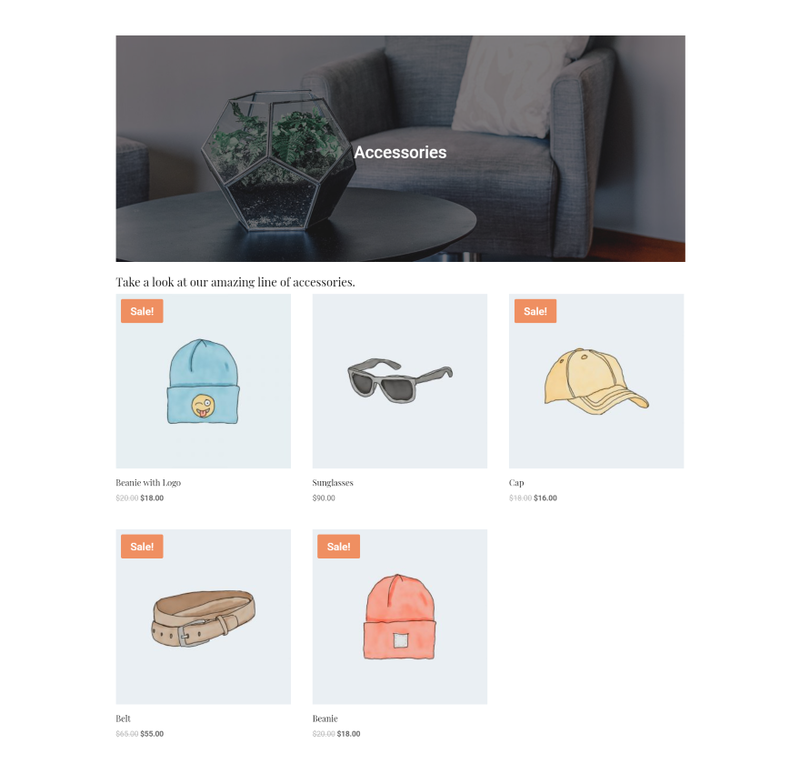 This way you are able to have more streamlined, lightweight experience with their product. Just my two cents. Again, not an expert, just what I’ve read. Can we use Divi to do this instead? 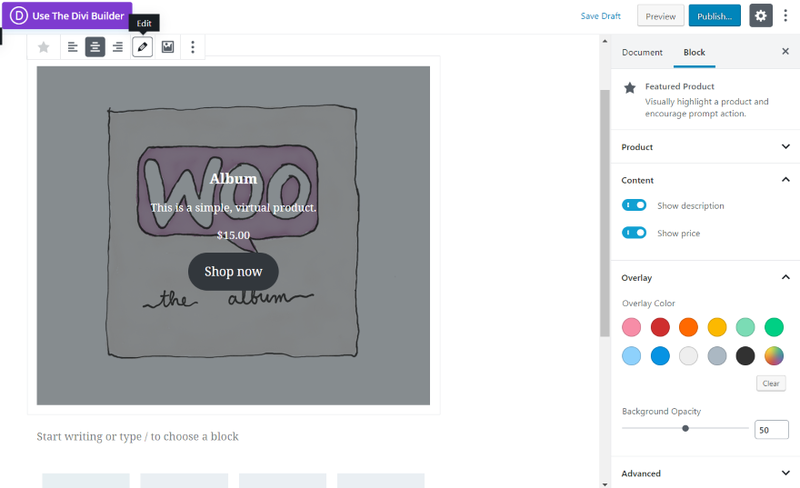 I know I’m one of those waiting patiently for “Woo Modules” in from ET over the new WooCommerce Blocks. 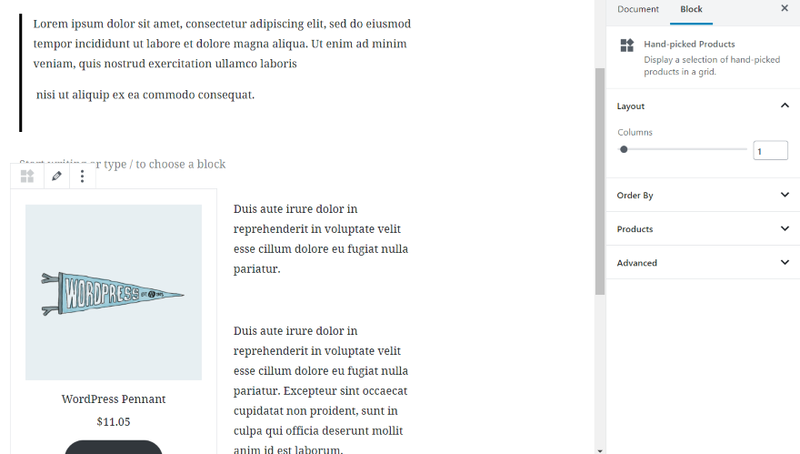 From experimenting, you can do many interesting things, mixing what the new block editor (Gutenberg) does with Divi. Caveat, tread carefully, unfortunately the new editor uses a lot of extra code and comment tags for block and if you expose this and inadvertently edit it the wrong way, your block may crash. 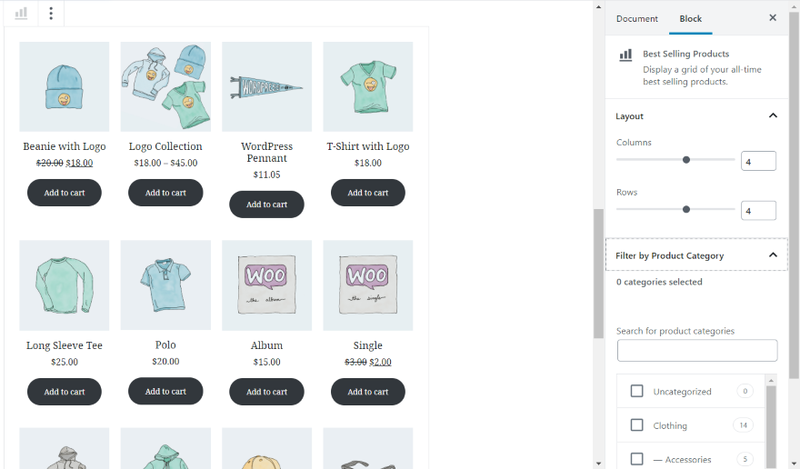 Ok, so one thing you can do is edit up something, like the Woo Commerce blocks above and save. 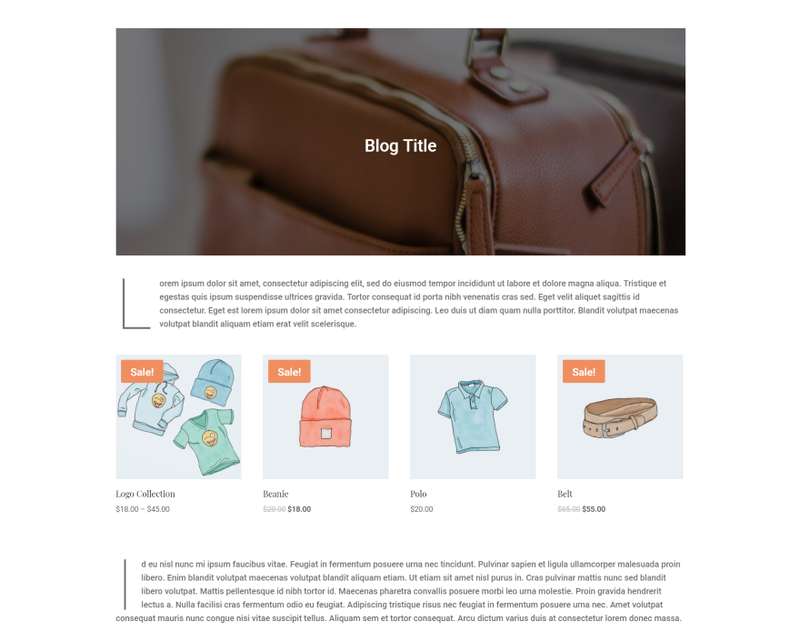 Next open to edit with the Divi visual builder on the front end and select to use existing content. 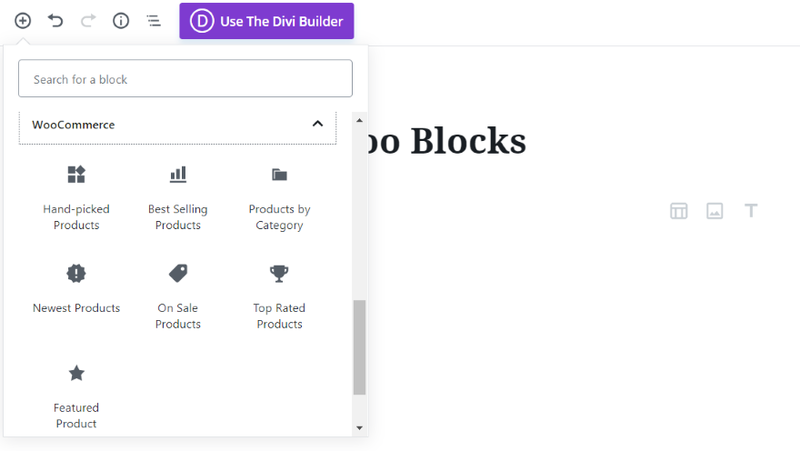 Whatever you put together in the block editor will now render in Divi and you can start to add and Divi elements you want around this. 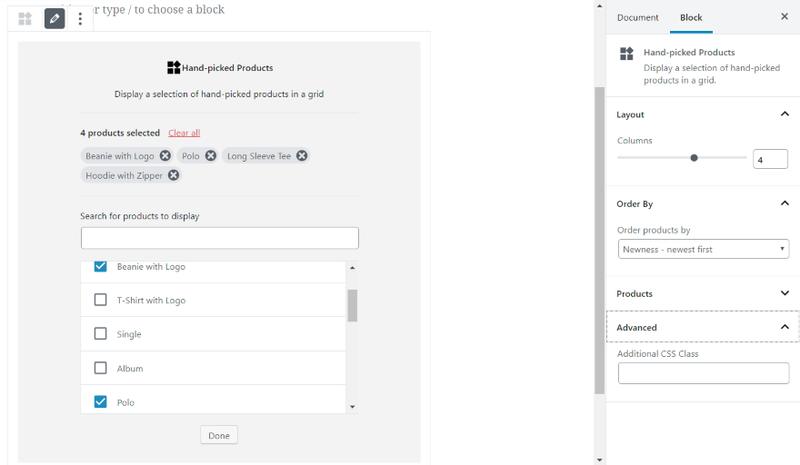 What would be useful, if Elegant Themes can achieve it, is to bring the block controls, as presented in Gutenberg, into what is currently a text module so as to be able to further configure the block/s. You can do a certain amount of WYSIWYG editing such as text and image resizing but be careful that you don’t mess up the supporting code. It does have its limitations. 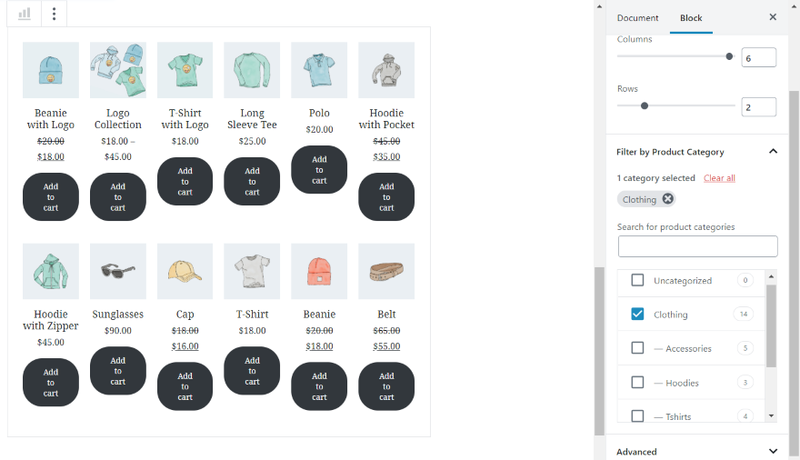 For example if you click into one of the rendered WooCommerce block, it disappears and is replaced by its short code. As it is now it is a text module. If you are comfortable with code you can copy & paste blocks, as defined by their comment tags to different parts of your Divi layout. 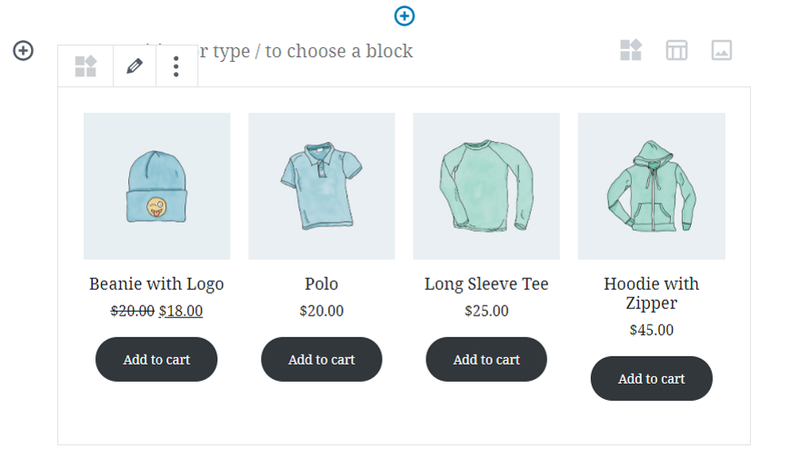 To further edit blocks to any degree more than what is basic, I recommend copying the block code temporarily into the code editor in a draft Gutenberg post, switching to the visual editor for changes and then copying from the code editor, to paste back into a text module. I am sure we will see refinements and better solutions to this in the future. 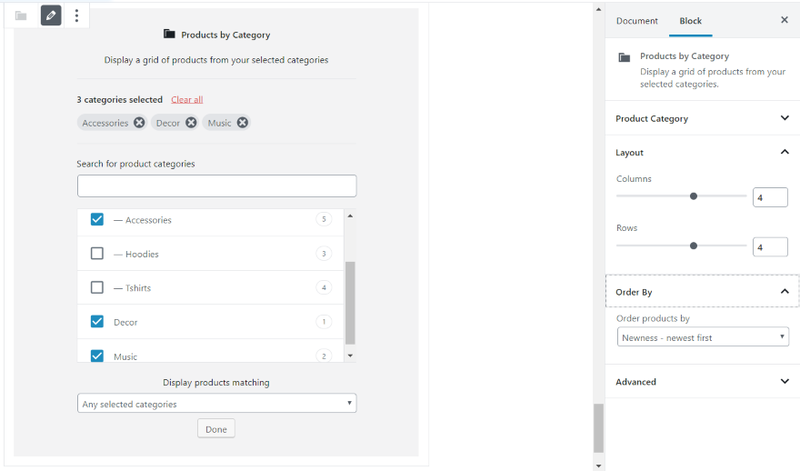 I already moaned that Divi theme has not yet been updated to conform to the wide width, fullwidth functionality of the new editor but on further investigation the Divi Row width settings can handle this for you and is in fact better because you can customise to whatever best suits you. 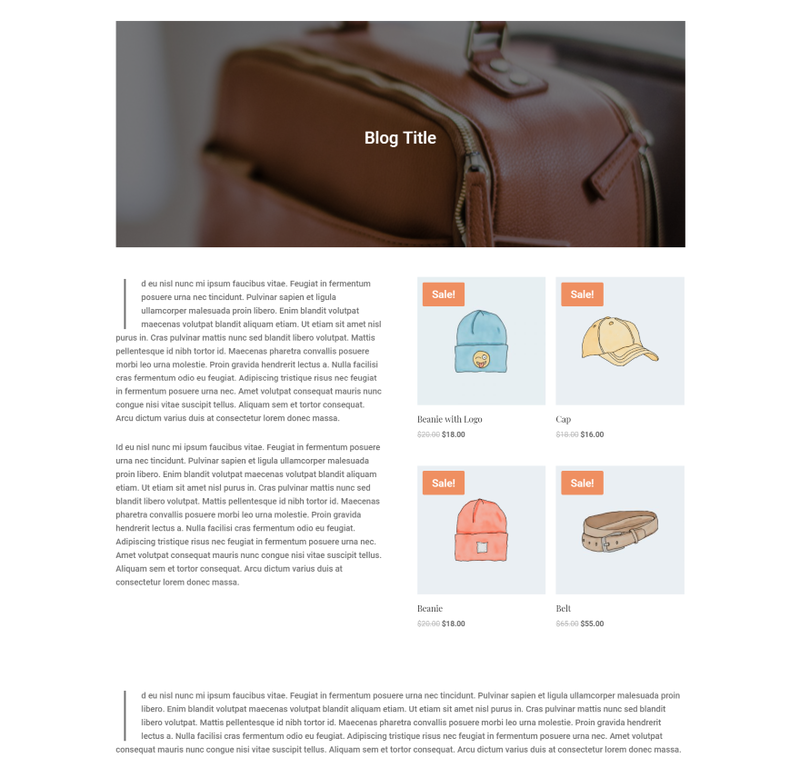 If you have something like Toolset you can also set up a content template (or as many variants that you need) and inject the content from your post using Toolset’s post-body short code. 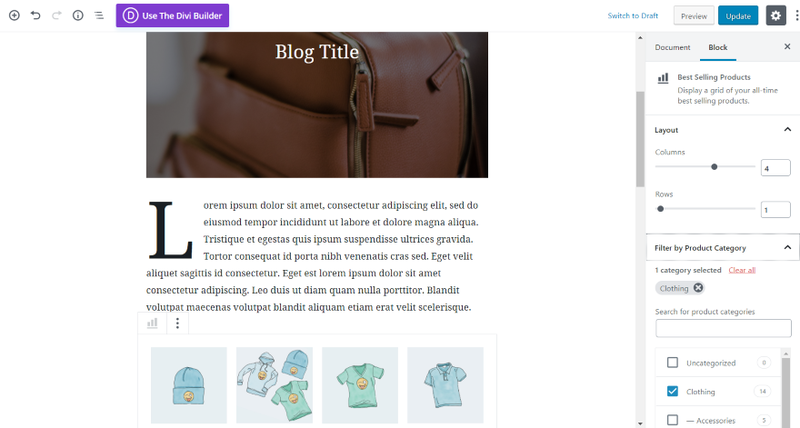 By setting the Toolset Divi template to fullwidth, 0 padding, you can fill that space with whatever block editor content you want. 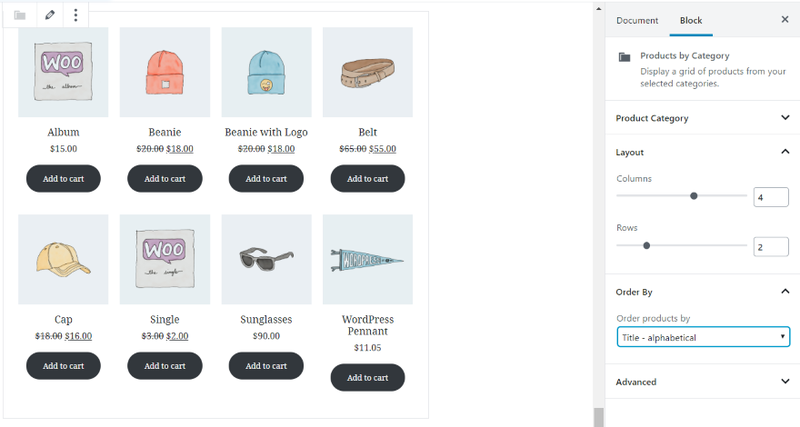 You do though need to hack in the the code required to control regular column width, wide and fullwidth along with some template specific styling to render it properly. And this is exactly why it makes sense to be creating layouts and template files in Divi. 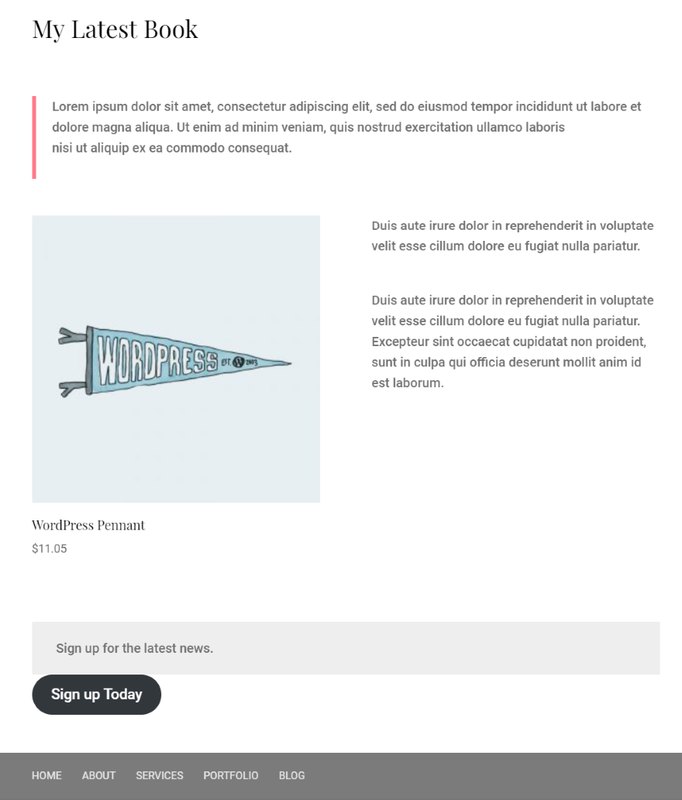 When will we finally be seeing the Divi theme builder, also to create blog layouts as template files, header, footer, navigation menu, archive pages?